New Zealand is a liberal and progressive country – very forward-thinking – New Zealand women got the vote nearly thirty years before their counterparts in Britain. Most New Zealanders are descended from the British and English is the mother tongue. However, they are not particularly fond of being mistaken for Australians, since they have their own distinct customs and culture. 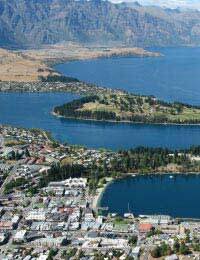 There is great scope here for the outdoor life – you are never very far from a spotless beach in New Zealand, and there is a lively café culture, and great sports facilities. It’s important to note that there is a “zero tolerance” attitude to rubbish, so be sure not to drop litter! New Zealand prides itself on its “100% pure” reputation and there has been a long marketing campaign, the slogan for which is “Keep New Zealand beautiful”. Shops and cafes tend to be individual, since the country is not particularly reliant on chain stores. New Zealanders pride themselves on their friendly and responsive customer service. At the checkout or counter, you will find a hello, smiles, eye contact, and an offer to pack your bag for you. The expression “Kiwi host” derives from the national attitude of being proud to offer hospitality, and to be as helpful as possible. Shopping areas are small and centralised, and people tend to walk or drive to the shops, rather than use public transport. And because there are fewer public services, e.g. trains, it is unusual to see queues in New Zealand. New Zealanders appreciate fine, healthy food, and the choice is plentiful. They are knowledgeable about wine. If invited to a meal in a restaurant, it is common to split the bill, whoever has extended the invitation. Tipping is extremely rare. It is very common, when invited to a home, to take a dish. This custom is known as “Ladies bring a plate”. The dish may be specified, or you may be invited to a “Pot luck dinner”, where everyone takes something, but no dish is specified, resulting in a spontaneous mixture on the table. Even if not contributing a dish, some bread and a bottle of wine, is the very least to bring.When offered food, it may be considered impolite to refuse. Having a “taster” of whatever the host offers, will be appreciated. Family life is very important in New Zealand. There is a drinking culture, but this tends to be one or two drinks after work and then heading for home. Pushing past people is considered extremely impolite. It is not enough to say “excuse me” as you pass, but more acceptable to wait until these two little words are acknowledged, and the other person has the opportunity to step aside. Chewing gum is considered a little “trashy”, and certainly the streets are so immaculate, that dropping gum onto them would definitely be frowned upon – and the culprit is quite likely to be fined. It is the custom to shake hands upon being introduced, and maintain eye contact. However, it should be noted that within the Polynesian cultures, which includes the Maori, prolonged eye contact may be considered a bit too personal. The Maori make up about ten percent of the population, and their word for non-Maoris is “Pakeha” which genrally means “stranger”. “Hongi” is the Maori custom for rubbing noses, a sign of greeting and affection. Good relations maintain with the Maori. They have always been more integrated into society than, say, the Aboriginal Australian, and have never been marginalised or “re-homed” in reservations. It is acceptable for dinner party conversation to extend beyond “small talk” and New Zealanders love to discuss politics and current affairs. Environmental issues are a huge issue, and New Zealanders are proud that they have made their islands a “nuclear-free zone”. As a newcomer in NZ I found my request for a bill at the table was often frowned upon. Most restaurants will present you with your bill when you get to the till. Here you can ask for the bill to be split and can detail the items you had and wish to pay for. Some restaurants will deliver a bill to the table but these are in the minority. Living in New Zealand , I always frown upon when Chineseforget to use their manners.If you're shopping at an outdoor flea market,you're most likely to experiencethe most impolite of all mankind. Hi Tony, Yes, that is still a "custom", though NZers think of it more as simply being polite. Additionally, NZers are not big fans of loud talkers (especially on mobile phones) and frown upon people who do this.It's a country of beautiful, polite people and whilst there is a % who don't match that description, it's only small.In NZ, think of the other person first and you'll be fine. From the sound of it, the general etiquette is very much the way England used to be! But that fits in with everything else I've heard about the country, and simply makes me want to visit it even more - possibly the first time an etiquette article has been a spur to travel. Is there still the general custom of opening doors for ladies and letting them go first? It would be nice to know that chivalry hasn't died everywhere!